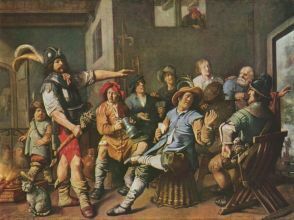 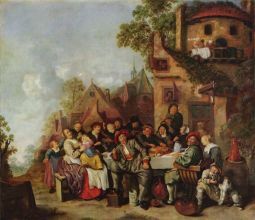 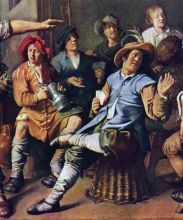 Jan Miense Molenaer (b.1610 - d.1688), was a Dutch genre painter born in Haarlem whose style was a precursor to Jan Steen's work during Dutch Golden Age painting. 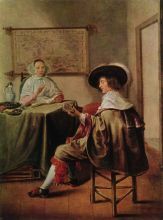 He shared a studio with his wife, Judith Leyster, also a genre painter, as well as a portraitist and painter of still-life. 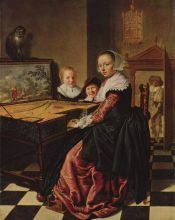 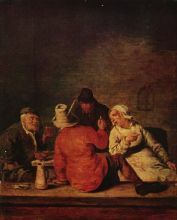 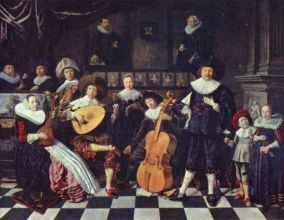 Both Molenaer and Leyster may have been pupils of the successful Dutch painter, Frans Hals.